El alojamiento está situado en pleno centro de Granada en el mismo Mirador de la Churra frente al barrio del Albaicín. Apartamento cómodo y amplio para dos personas. La inquilina Isabel fue muy amable. Sobretodo la ubicación con vistas al albaicin y con un mirador nada mas salir por la puerta muy bonito. El trato fue extraordinario, gente muy maja, un sitio para repetir. La posizione con vista su albajcin! Il locale lavanderia con lava e asciuga é comodo, perché non batte mai il sole e le cose non asciugano. Qui siete proprio sotto alla Alhambra, perciò non la vedete. Se volete la vista sull'Alhambra, dovete cercare ad Albajcin. Qui é bello, ci vogliono fiato e gambe, non arrivano le macchine. Io sono stata bene, mi sono fermata sei notti. Apartamento céntrico, con una buena distribución de los espacios y una decoración moderna y funcional. Es tal cual se describe en la web. El trato de la propietaria (Isabel) ha sido muy bueno y cordial. Lock in a great price for Apartamento Mirador – rated 9 by recent guests! Apartamento Mirador in Granada provides accommodations with free WiFi, a few steps from Albaicin. 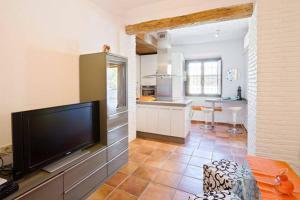 This apartment is a 13-minute walk from Paseo de los Tristes and 0.8 miles from Alhambra and Generalife. 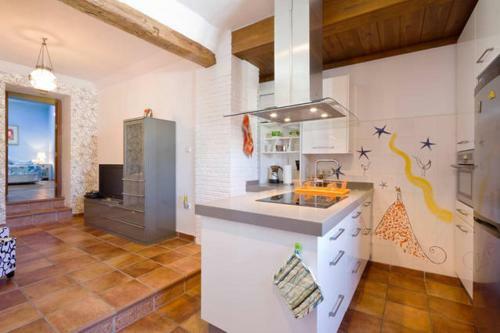 The apartment comes with 1 bedroom and a fully equipped kitchen with an oven and a microwave. The apartment also offers a seating area and a bathroom. Granada Cathedral is a 16-minute walk from the apartment. Federico Garcia Lorca Granada-Jaen Airport is 14 miles away. 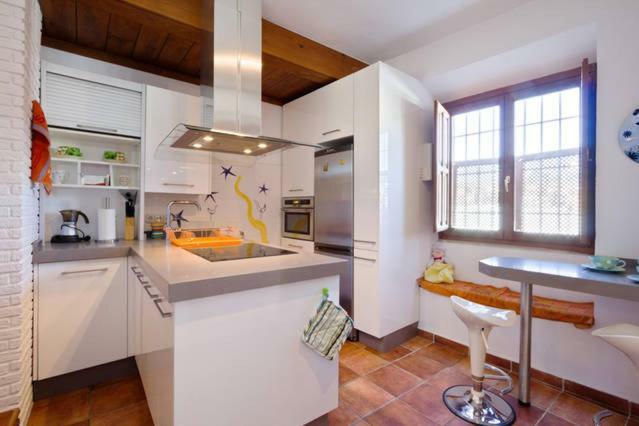 뀐 Located in the real heart of Granada, this property has an excellent location score of 8.8! When would you like to stay at Apartamento Mirador? 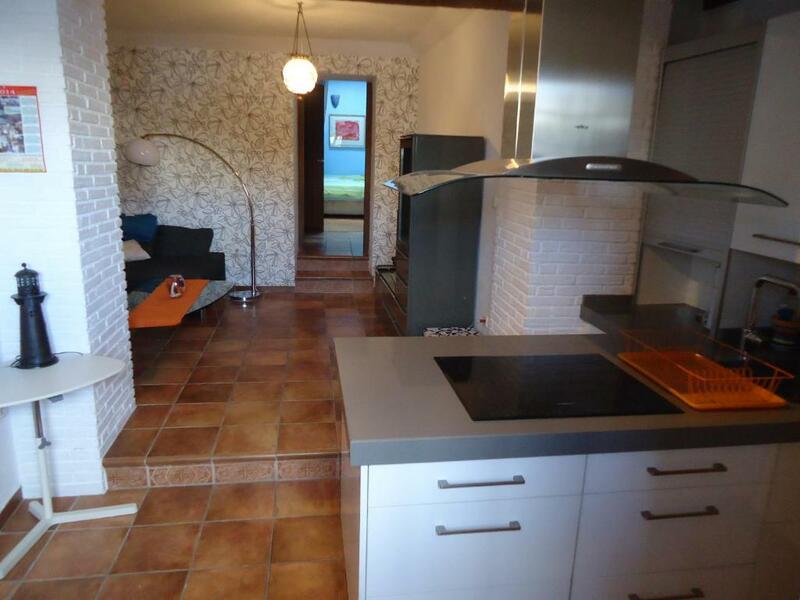 This is one apartment placed in a privileged site, just below the Alhambra and 5 minutes walk from the city centre (cathedral) and the main commercial area, including shops, several bars, restaurants, a hammam, etc. 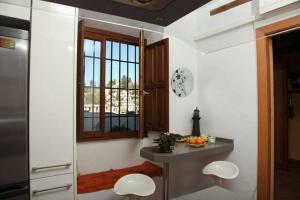 There is a viewpoint directly outside the apartments with great views of the Albaicín. 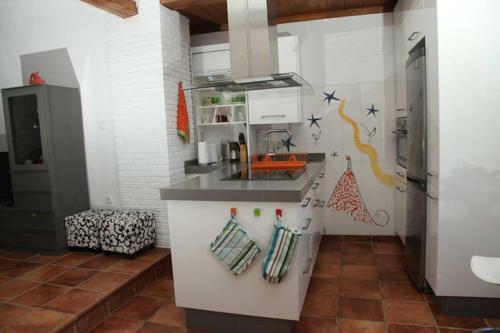 A lovely apartment, perfect for a couple who wants to spend a short or long time visiting Granada. Lounge/dining area: an amazing and comfortable sofa, flat screen TV, DVD, internet.. Kitchen: stools, bar, electric hob, oven, extractor, microwave, fridge, kitchen utensils, cutlery, crockery, kettle, coffee maker, toaster, blender. Bedroom: double bed, wardrobe, bedside table and individual lamps. It has also modern skylights that will you look at the stars every night. Bathroom: Shower, WC, hair-drier. Laundry room: washing machine, clothes dryer. This flat has two air-conditioning units. 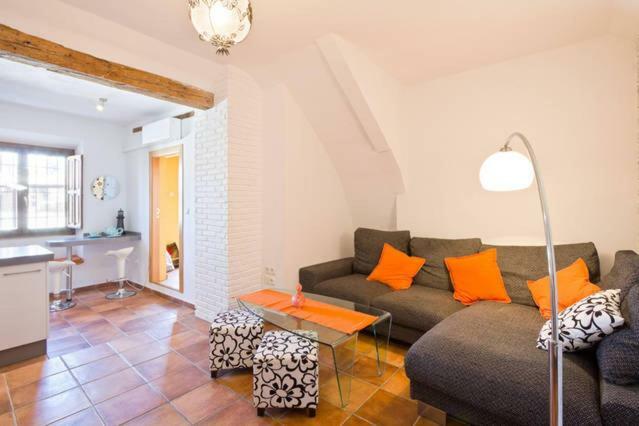 Both apartments have: Satellite TV and free wifi internet access. Permanent hot water. Crockery, Cooking utensils and glassware in kitchen. Baby's cot available on request. Heating. We have a selection of guide books (and novels). I am a three kids mom and work also as a lawyer. 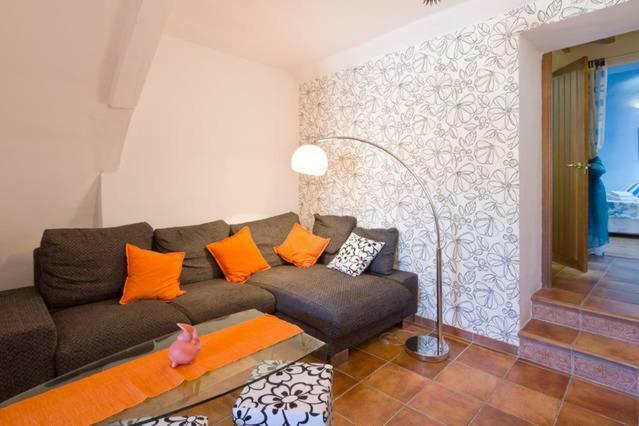 This is one apartment placed in a privileged site, just below the Alhambra and 5 minutes walk from the city centre (cathedral) and the main commercial area, including shops, several bars, restaurants, a hammam, etc. There is a viewpoint directly outside the apartments with great views of the Albaicín. A lovely apartment, perfect for a couple who wants to spend a short or long time visiting Granada. House Rules Apartamento Mirador takes special requests – add in the next step! Please note that in order to get to this property 34 stairs must be climbed. This is not suitable for reduced-mobility guests. Please inform Apartamento Mirador of your expected arrival time in advance. You can use the Special Requests box when booking, or contact the property directly using the contact details in your confirmation. Bed is short and hard.